A loving wife and mother of three young children. A woman with a strong faith in God. A woman who strived to be fair to everyone. A woman who left a legacy of love and courage. A woman who was a rising star in the community. Those are just some of the ways colleagues are remembering Wabash Superior Court Judge Amy Cornell. Judge Cornell, who served in the post for about 15 months, passed away on Tuesday, Feb. 19. She was appointed to the post by Gov. Eric Holcomb in October 2017, replacing then Superior Court Judge Chris Goff, whom Holcomb appointed to the Indiana Supreme Court earlier in the year. She received her robe during a November 2017 ceremony. Wabash Circuit Court Judge Robert McCallen III said he first met Judge Cornell and her husband, Jonathan, at the Farmer’s Market shortly after they came to Wabash. “Her faith shined in everything she did,” he said. “Her devotion to her family was evident in every conversation we had. She embraced the duties of Judge of the Superior Court and quickly applied for and obtained a grant for an alternative dispute resolution program. That program will leave a lasting legacy. She truly wanted to be a problem solver. 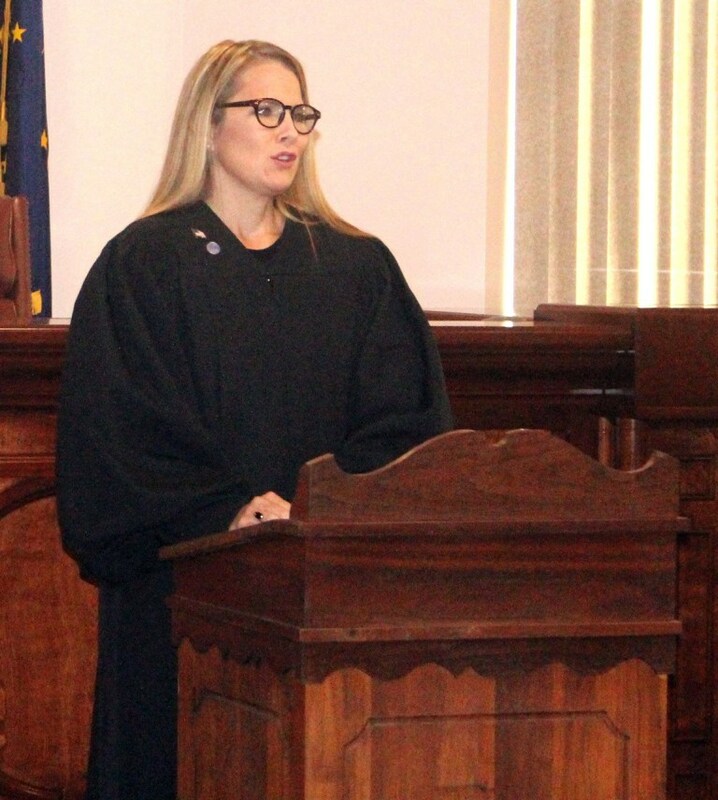 “I began to see the kind of woman she was when I attended her swearing in ceremony in November of 2017 in the Wabash Superior Court,” said Schlitt, president of the Wabash County Bar Association. “It was there that I saw her commitment to Jesus Christ and how central her faith was to her life and how supportive her family was. It was during her illness, Schlitt said, “I saw how strong her faith was and how she was more concerned about others than herself. As I followed the updates that were posted on CaringBridge about her treatment and progress, I thought about how blessed we were in Wabash to have her as Judge of our Superior Court and how she showed us how to live as a Christian in spite of the difficulties she encountered. The Problem Solving Court, to which Judge McCallen alluded to in his comments, will be Judge Cornell’s lasting legacy. Sarah Lochner, director of Wabash County Court Services, worked closely with Judge Cornell on the matter. “One of the things that Judge often shared was that it never really set well with her the lack of room in the justice system for Christ’s love message,” Lochner recalled. “She believe there was a way to practice both – in fact I can hear her saying, ‘I can feel it in my bones, Sarah, this is what I was destined to do; this is my purpose, my calling. Being named to the Superior Court post, Lochner said, was one of Judge Cornell’s dreams. Perhaps Judge Cornell’s favorite part of the job was the aforementioned Problem Solving Court. “The way she was able to connect with each participant on a personal level brought her great joy,” Lochner said. “It amazed me to see our participants connect so easily to a judicial officer – this is no easy feat, there’s a bit of fear that resonates from that authority, yet she made sure they knew that they mattered to her, their lives and what was happening in them mattered to her. “She brought warmth and humor to our hearings and made each one authentic and personal. Judge always called Problem Solving Court, which is the official term, Proactive Court. I just assumed there was so much new information thrown her way so quickly that she didn’t realize the error. Judge Cornell never looked at the court participants as “problems,” Lochner said. “They were our brothers and sisters, neighbors and parents … with opportunity before them to reclaim their lives; poised to triumph adversity. She truly believed that the battles could be won, wounds could be healed, and that Christ’s love would redeem the brokenness. It’s who she was. “Moving forward without Judge Cornell is hard to accept. However, she has left a legacy of love and genuineness that will never leave our courthouse or this community. I’m grateful for every day that I had the privilege to work alongside someone I loved dearly and admired greatly. Visitation for Judge Cornell will be from 2-8 p.m. Friday, March 1, at the Wabash Presbyterian Church, 123 W. Hill St. Services will be at 2 p.m. Saturday, March 2, at the Honeywell Center’s Ford Theater. The Rev. Dr. Scott Mills will officiate. Memorials may be offered to Neighborhood Christian Legal Clinic, White’s Residential Services or the Wabash Presbyterian Church. Amy Catherine Conner Cornell (Nov. 19, 1976 – February 19, 2019) leaves behind a legacy of audacious faith and generosity of spirit that will be remembered for generations. In all she did, Amy was the hands and feet of Jesus Christ. She was an enthusiastic encourager, quick to pray, and a dynamic example of how to see the hurt in others and accept them, not in spite of, but because of it. Above all else, Amy believed that Jesus could redeem all circumstances. 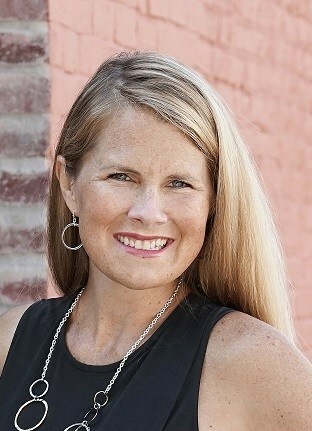 Amy is survived by her husband and children; father, Merle Conner; David (brother), Laura, Cadey, Calvin, and Caleb Conner; John (brother), Melissa, Jude, and Levi Conner; Greg, Barb, and Peter Cornell; Mahmoud and Ginny Baali; and a host of Conner and Cornell family members who adored her. She is preceded in death by her Mama Judy Conner, her beloved Uncle Pete, and her Cousin Sam Baali. Visitation will be Friday, March 1st from 2-8pm at the Wabash Presbyterian Church. The funeral service will be Saturday, March 2nd at 2pm at the Honeywell Center’s Ford Theater, officiated by Rev. Dr. Scott Mills. Memorials may be offered to Neighborhood Christian Legal Clinic, White’s Residential Services, or The Wabash Presbyterian Church. Grandstaff-Hentgen Funeral Service, Wabash, handled the arrangements.